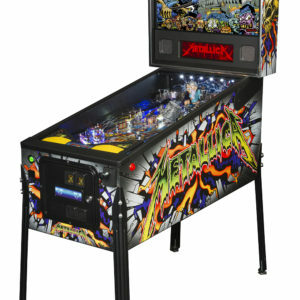 Stern Pinball’s design team, led by the King of Pinball, Steve Ritchie, with programming creativity provided by the legendary Lyman Sheats, worked tirelessly to create a pinball experience worthy of the AC/DC and Stern Pinball monikers. You all know that AC/DC is one of the most popular bands in the history of music. Brothers Angus and Malcolm Young formed the band in Australia in 1973. Since then, AC/DC has toured worldwide virtually non-stop and sold more than 200 million albums, including 70 million albums in our domestic market. Their iconic album, Back in Black, is the second highest selling album in history. The band’s recent worldwide Black Ice tour was the highest grossing tour in 2010. The band is currently planning another worldwide tour with the goal of surpassing the phenomenal success of its recent Black Ice tour. Purchases paid for with Paypal can ONLY be shipped to the address listed on the Transaction Detail Page of the Paypal payment. 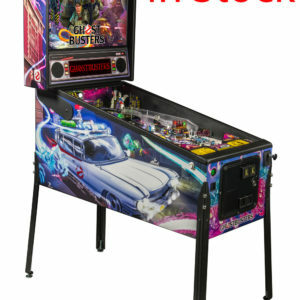 We also offer payment by cash and local pick up. Shipping: Free shipping to the Continental US 48 states.